The Gauntlet - Metallica releases new track, "My Apocalypse"
Metallica releases new track, "My Apocalypse"
Metallica just released the second single off their upcoming album, Death Magnetic today. Entitled "My Apocalypse," the track is now available for download on iTunes. Metallica fans should also check out iTunes where you can also purchase the riveting track "The Day That Never Comes" which premiered last week. 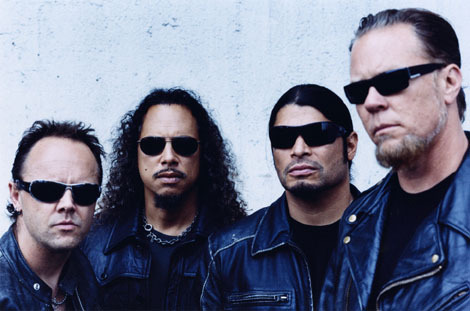 Additionally, the band have recently unveiled a new widget that the band will frequently updated with news, a trailer for their MissionMetallica.com fan site, and other Death Magnetic related material. The widget can be embedded onto most social networking sites and blog applications. Death Magnetic will be available everywhere on September 12th.